Let’s do one more soundtrack selection. This time coming from France with Cameroonian legend Manu Dibango. If you only know him via his hit Soul Makossa then you know a sliver of his contributions to music. His catalog and credits is huge and diverse—the man has basically done everything in music including lending his talents to several soundtracks like this one for the film, L’Herbe Sauvage. I’ve never seen even a clip from this film, but I’m super curious knowing it had funky music like this running through it. This classic 1977 LP, Kilimandjaro My Home, by the legendary Cameroonian musician and producer Eko Roosevelt is one of my all time favorites. Everything from the cover design to the wide range of heartfelt songs throughout just feels so damn good and never fails to lift my mood. I’ll be sure to share more from this gem soon. So in Papicultor’s post of Golden Sounds’ cover of Ekan he made a request for the original. No problem. As he described this is one crazy song with a stuttering rhythm that seems like it shouldn’t even be rhythmic, but it totally is. And as you will hear this version is extremely raw in comparison with Golden Sound’s cover. A lot of it has to do with recording techniques/equipment used at that time, which now has become very desirable by many musicians and studio heads. I normally wouldn’t post a record with so many pops and clicks, but I think it just adds to the wonderful rawness of the sound. I have to say though my favorite song is on the A side, Macnam-Mot. 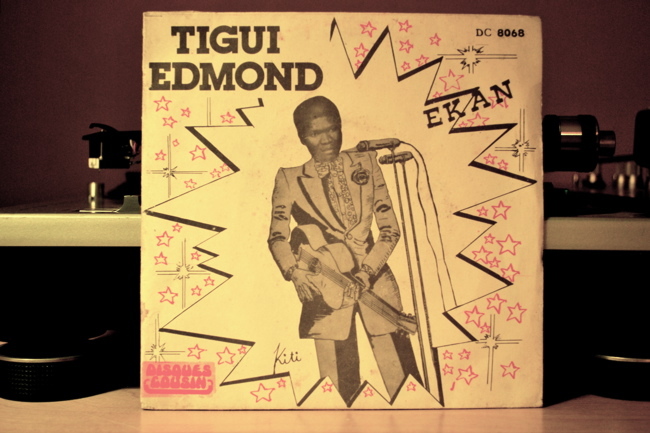 Everything from the horns to the guitars to the vocals are totally infectious—a wonderful example of Makossa music from Cameroon. Enjoy! Sorry for the silence, and thanks to Posoule and especially Mister 3000 for holding it down in our absence. Did you know that La Pelanga takes requests? (Ok, only if we like them and we have them, heheh.) Just drop us an email or leave a comment on any post. César asked me to post the original version of Shakira’s World Cup hit “Waka Waka”, and I’m happy to do that. 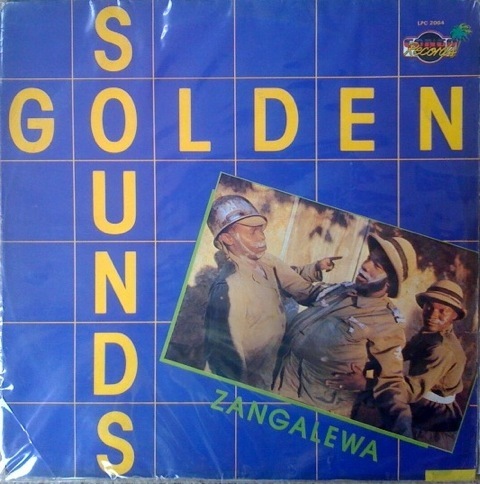 Click here to watch the video of Golden Sounds’s “Zangalewa”. Much has been said about FIFA’s choice of a Latina over soooo many talented African musicians, and about Shakira’s (cover/tribute/appropriation)? of this great song. (I’m sure she grew up hearing it in the radio like I did.) Google and ye shall find. Here is a good post by Boima about it. But what I was really excited about when I picked up this record was the B-side, which contains a version of Edmond Tigui’s “Ekang”: a true Pelanga classic (on Juancho’s beautiful and beautifully titled “La Pelanga v.2”.) and one of the craziest 45s I’ve ever heard/seen. How many times do you have to hear this to understand where the rhythm is going? So Posoule, here’s my request: give us the original!